The author of the widely praised Age of Greed now gives us a bold indictment of some of our most accepted economic theories – why they’re wrong, the harm they’ve done, and the theories that would vastly improve them. 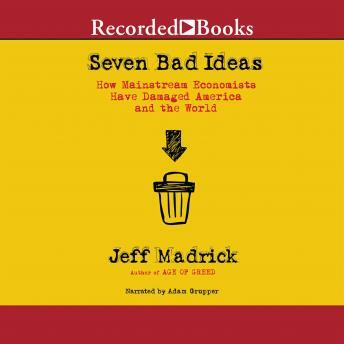 Jeff Madrick, a former columnist for The New York Times, is an economics columnist for Harper’s, a regular contributor to The New York Review of Books, and editor of Challenge Magazine. He is visiting professor of humanities at The Cooper Union, and director of the Bernard L. Schwartz Rediscovering Government Initiative at the Roosevelt Institute. His books include Age of Greed, The End of Affluence, and Taking America. He has also written for The Washington Post, the Los Angeles Times, Institutional Investor, The Nation, American Prospect, The Boston Globe and Newsday. He lives in New York City.